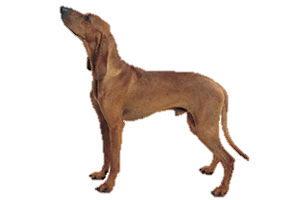 The Italian Hound is a scenthound that can track, hunt and kill game. Originally they were bred to flush out boar, but as this particular prey is no longer available in their homeland they are mostly used on rabbit and hare. This is a breed that is comfortable hunting on its own or in packs. The Italian hound is an early breed that is indigenous to Italy, said to have existed since before ancient Rome. They may have descended from crosses involving Celtic scenthounds and sighthounds brought by Phoenician traders around 3,000 years ago. The breed was highly popular through the Renaissance, but in later centuries declined due to less interest in hunting and game becoming less available. By the 20th century it took the creation of special societies to protect the breed. Today it is secure and one of Italy’s most popular breeds. Is the Italian Hound Right for You?